Description Get your own Buggy right now and drive the stunning tracks. 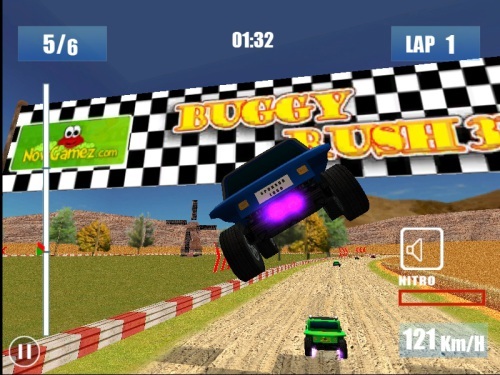 Drive your buggy in this new 3D racing game through barns and mills on the gravel circuits. Try to win from your oponents and get more of the free circuits and buggies. Use spacebar to use your nitro. Try to come as far as possible. Have fun. Controls Arrow keys to drive. Space bar for nitro.